I am a sucker for a good fantasy. Magic, new worlds, adventure, and mystery are just the things that to me make a thrilling story. 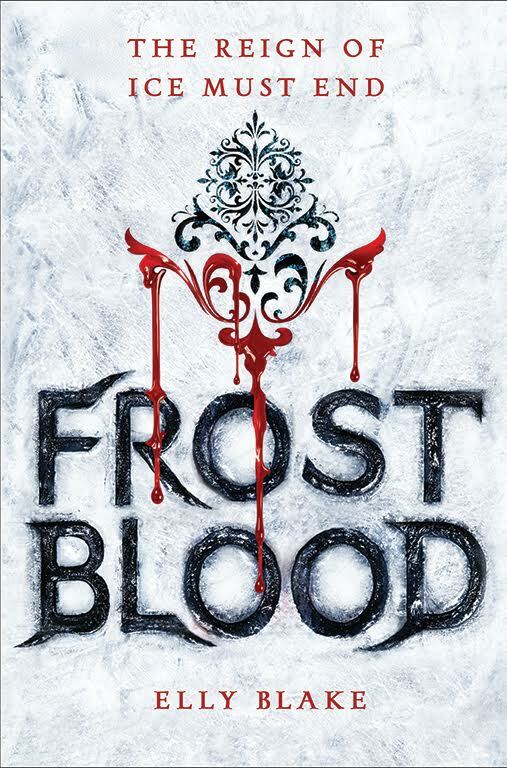 Elly Blake’s Frostblood is a prime example of what I mean. Ruby is a Fireblood–she can control fire. But being a Fireblood is a big secret in her world. The Frostbloods, who can control ice, want to obliterate every last Fireblood and will stop at nothing to do so. 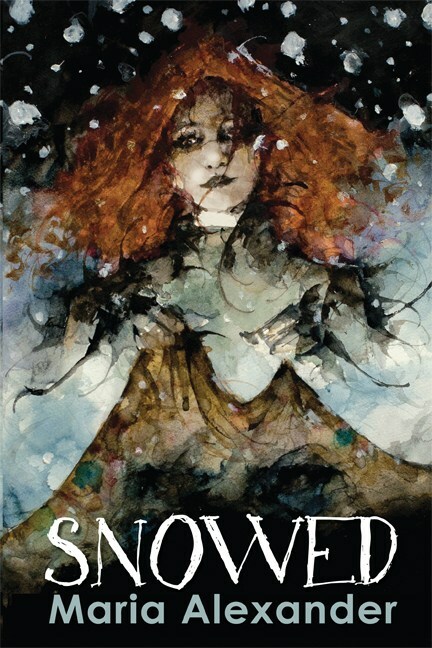 When Ruby’s village is attacked she unwittingly reveals her true nature and is thrown in prison where she is tormented with buckets of ice water. But then two Frostblood men arrive and tell her they will break her out of prison if she agrees to help them with a mission. She doesn’t trust them but is desperate to be free. She is taken to an abbey where she is healed and taught how to use her power properly, though most who know her true nature are frightened of her and the danger she represents as a fugitive. And then there is Arcus. He is the Frostblood that freed her from prison. He hides behind a mask and is very reticent to share anything about himself other than what he expects of her. But a reluctant truce forms and they begin an unlikely friendship. This book was so well done. 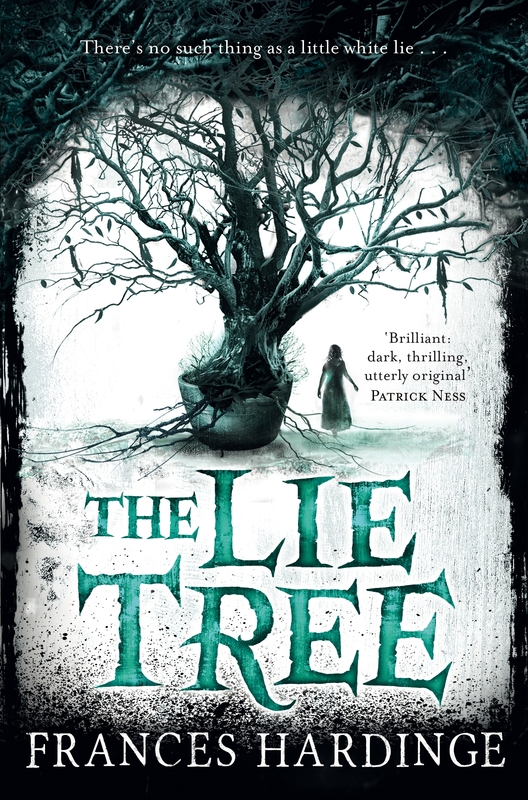 The writing was outstanding and the story was well-plotted and satisfying. The sequel, Fireblood, comes out in September and I am ready for it NOW. I started with a character — Ruby, a girl with power over fire. I actually dreamed about a girl with power over fire and a king with an icy heart. When I woke up, I knew right away that her name was Ruby. I decided to focus on frost and fire as opposing elements, and started spinning ideas from there. I’m a pantser who wants to be a plotter. I try to plot, but I find it very hard to answer questions about character and plot before I start writing. I get to know the characters as I draft. So I know a few major points before I start, but the rest is a mystery until I have that messy draft. That’s when I focus on applying structure and plotting methods– during revisions. There are many writers I love, and many writers whom I envy! I often wish I could write more like my favorite authors, but I’m not sure who actually influences my style most. I think when it comes to voice, most of our influences are unconscious. We pick things up from books we enjoy and it comes out when we write. A few of my favorite authors are: Marie Rutkoski, Megan Whelan Turner, Leigh Bardugo, Kristin Cashore, Morgan Rhodes, and so many more! I usually listen to soundtracks: Tron: Legacy, Pirates of the Caribbean, Game of Thrones, The Dark Knight Rises, etc. I’m reading The Hate U Give by Angie Thomas. It’s so good! I just finished Caraval by Stephanie Garber, which was a beautiful read. (I also met Stephanie recently at a signing and that was a total thrill!) Next, I plan to read The Edge of Everything by Jeff Giles. I’m in a debut group so I’m reading a lot of 2017 debut books and loving them! 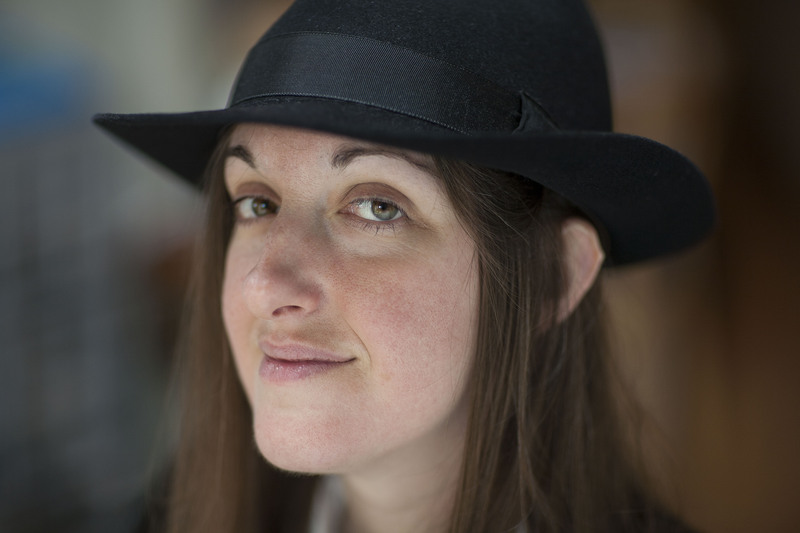 Elly Blake is the NYT bestselling author of Frostblood. After earning a BA in English literature, she held a series of seemingly random jobs, including project manager, customs clerk, graphic designer, reporter for a local business magazine, and (currently) library assistant. She lives in Southwestern Ontario with her husband, kids and a Siberian Husky mix who definitely shows Frostblood tendencies. Last year when I was doing some market research in YA historical fiction I went to the bookstore and grabbed four books off the shelf and bought them. One of those was Julie Berry’s The Passion of Dolssa. I was not disappointed when I began reading. Dolssa is a high-born young woman in 13th century France with the gift of hearing words directly from God. In her community she is revered as a miracle worker and a mystic, but the Church hears of her good deeds and brands her a heretic. Dolssa barely escapes being burned at the stake and goes on the run. Botille lives in a fishing village on the coast and makes a living running a tavern with her sisters, but is also the town matchmaker. When she discovers Dolssa half-dead, she brings her back to the tavern and hides her, nursing her back to health and forming an unlikely friendship. But the Church won’t stop in their quest to find Dolssa. It is up to Botille and the people of her village to save the girl from a fiery fate. 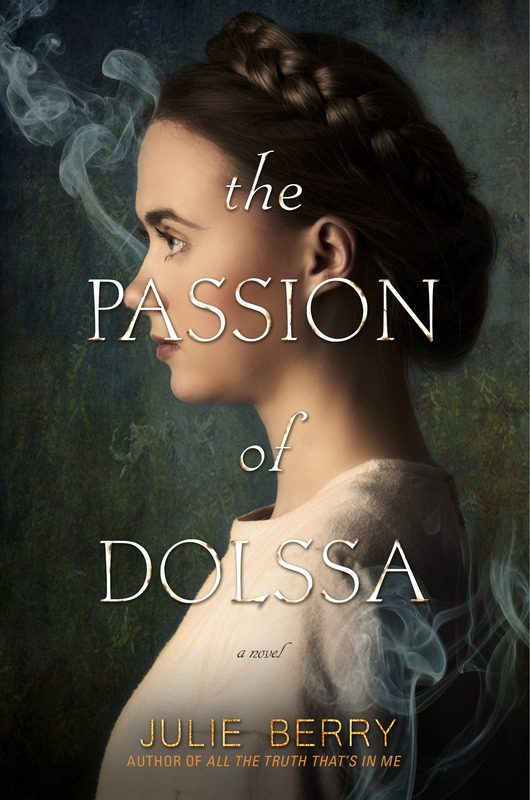 I wrote a full review of The Passion of Dolssa last April and you can read it here. It was a dark and twisty read full of great historical detail and a thrilling conclusion. I’m pretty much a pantser, but I use outlines extensively when revising. The Passion of Dolssa underwent significant revision, and outlines were crucially to wrapping my head around the scope of the story and its many voices and moving parts. Hm, I’m really not sure how to answer that one. I don’t there’s anyone whom I consciously try to evoke. I have lots of favorite authors, but I don’t know to that extent they find their way into my style. I love Charles Dickens, P.G. Wodehouse, Agatha Christie, C.S. Lewis, Jane Austen, the Bronte sisters – the usual suspects, I guess. I don’t. I love music, so it diverts my attention away from writing. Background noise isn’t my friend. It’s why I don’t write in cafés. I’m reading 13 Ways of Looking at the Novel by Jane Smiley, and Heart of Darkness by Joseph Conrad. 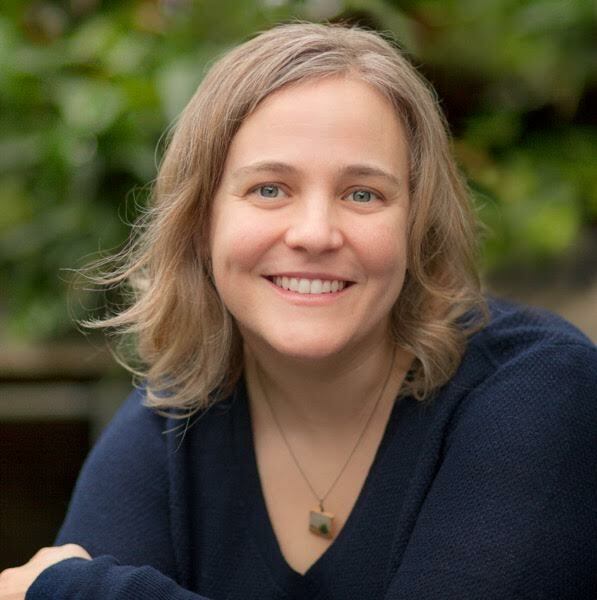 Julie Berry is the author of the acclaimed young adult novel The Passion of Dolssa, the award-winning, All the Truth That’s in Me (2013, Viking) and The Scandalous Sisterhood of Prickwillow Place (2014, Roaring Brook), and six other critically acclaimed titles for young readers. A forthcoming middle grade novel, The Emperor’s Ostrich, releases in June 2017 from Roaring Brook. 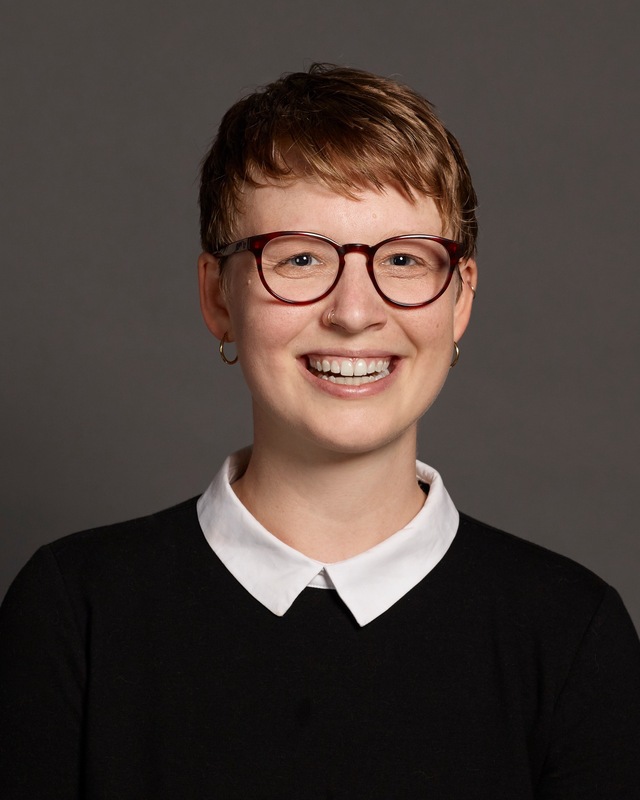 She grew up in western New York and holds a BS from Rensselaer in communication and an MFA from Vermont College in writing for children and young adults. 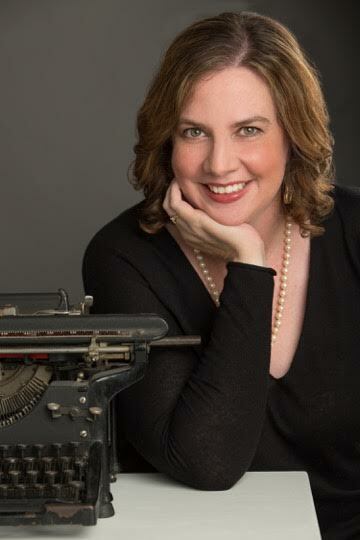 Before becoming an author, she worked in software sales and marketing. She now divides her time between eastern Massachusetts and southern California with her husband and four sons. Find her online at www.julieberrybooks.com, or on Twitter at @julieberrybooks. Molly Booth is adorable. A cute, pixie haircut, glasses, and a huge, beautiful smile. And she’s a damn fine writer too. Her debut novel, Saving Hamlet, was just published in November. It’s funny as hell, smart, and has Shakespeare! What’s not to love? In Saving Hamlet we meet Emma, a high school student who has recently shed her jock persona in favor of a drama geek. She is the stage manager of her school’s production of Hamlet and things aren’t going well. The lead is struggling with his lines, Ophelia is being a prima donna, and the director (her secret crush) is not, well, being directional. And then one night Emma accidentally falls through the stage trapdoor and finds herself in the basement of the Globe Theater in London. In the sixteenth century. Emma has to find a way back home and glean enough information from her experience with the Globe’s theatrical company to make her own high school show a success. 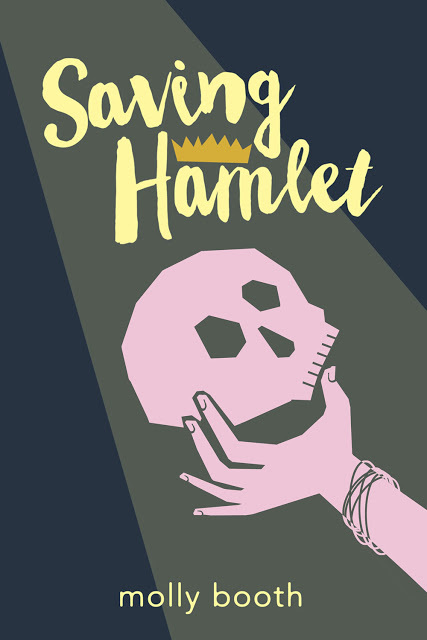 The original idea for Saving Hamlet came when I was a sophomore at Marlboro College, taking a fiction workshop and a Shakespeare course at the same time. My professor, Paul Nelsen, taught us about Shakespeare’s backstage and history, and it was so exciting! So many plays at once, barely any rehearsal time, lightning-paced theater. I’d been a stage manager in high school and for part of college, so reading about the Globe and the Chamberlain’s Men was thrilling. I came up with a short story idea to have a teenager travel back in time there, and get to work with Shakespeare. I started writing Emma (my main character), and her challenges and voice helped shape the story, which eventually became Saving Hamlet. A bit of both! I write one draft without a whole lot of plotting, then I do a long outline before the next one. Some chapters I go in knowing what needs to happen, sometimes I write until I figure it out, and then go back and revise. I think part of what’s exciting (and terrifying) for me about writing is that you don’t know how it’s all going to happen before you do it. Maybe once I’ve written 10 or 20 books I’ll know ahead of time, but I doubt it! 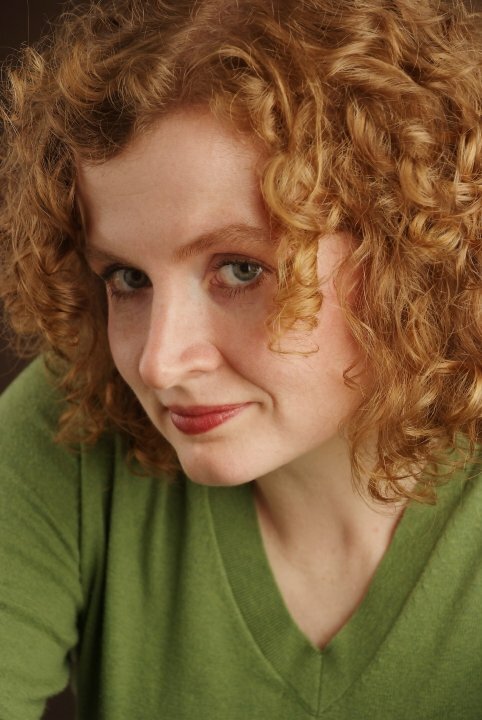 I grew up reading Meg Cabot and Tamora Pierce, and I do think some of how I write was formed by their (far superior) clear prose, humor, and character development. In recent years, I’ve also turned to Rainbow Rowell when looking for inspiration — she writes so fearlessly, and her books give me courage. Sometimes! If I do, it’s almost always instrumental electronic music. I wrote Saving Hamlet to the Social Network soundtrack and deadmau5, and for Nothing Happened, I’ve been writing with Ratatat in the background. I usually listen to musicals, alternative rock/pop, and Taylor Swift, so the electronic thing is definitely a weird writing phenomenon for me. Right now, I’m reading Hag-Seed by Margaret Atwood, a retelling of The Tempest, as well as finishing The Magicians trilogy by Lev Grossman. I also just finished my friend Dana Langer’s truly wonderful middle grade novel, Siren Sisters, which I cannot recommend enough! Saving Hamlet was probably my favorite YA read of 2016. You’ll laugh out loud, I promise. 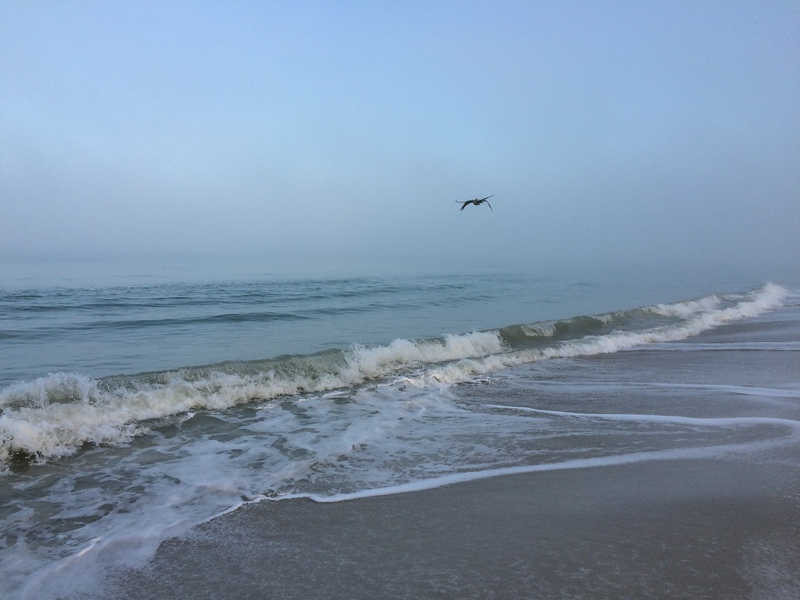 I met Robert Wilder at the Sanibel Island Writers Conference last November. If you remember I volunteered for the event and was the lucky person who ran trips to and from the airport. Rob was one of the folks I carted around, and he was great to talk to. I look forward to seeing him again someday. 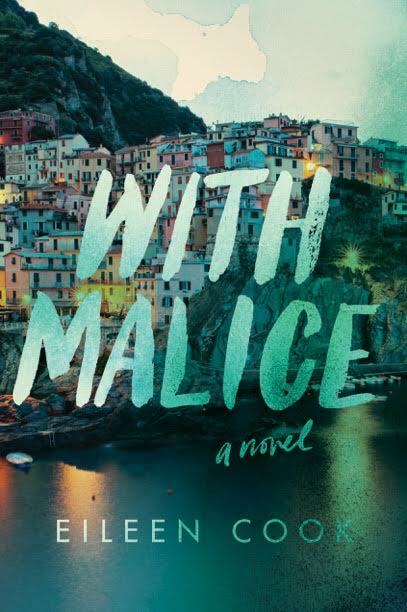 Rob has previously written several books of humorous essays, but Nickel is his first foray into Young Adult literature. Coy is an adorkable teenage boy with a mother in rehab and a slightly inept stepfather. 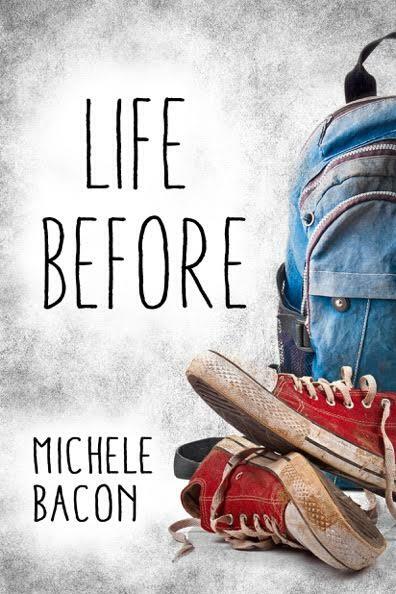 His lifeline is his best friend, the 80’s obsessed Monroe. But when she comes down with a serious and indefinable illness Coy is left to fend for himself in the cruel high school landscape. Wilder really hit the awkward, nerdy teenager on the spot. Coy digs right into your heart and won’t let go. Nickel is both painful and ultimately hopeful as we follow his lows (a surprise birthday party with almost no attendees) and highs (meeting Avree, a girl he thinks is out of his league). 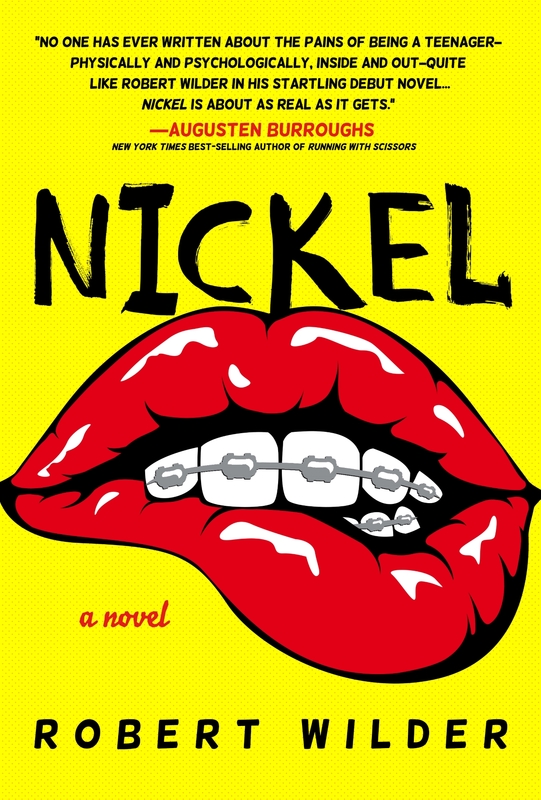 Told with a keen understanding of the teenage mind, Nickel is a funny and authentic read from an author to watch. NICKEL is a tribute to the quiet, odd kids I’ve enjoyed teaching over my twenty-five years in the classroom. My inspiration for the novel began with all the essays, stories, poems and journal entries I’ve read by the quirky kids, a series of interior voices few others had access to. I then combined those voices with a dash of my son London and my younger self to form Coy, the narrator. My early drafts are purely exploratory. I start with a voice or idea or event and then follow it, not worrying about anything (or showing anyone) until I have a full draft. Then I start again since I hopefully know what the novel’s intentions are. Somewhere along the line, I’ll tape butcher paper up on my kitchen walls and sketch the overall plot, scenes, or character arcs, but not until I have at least two full drafts under my belt. Style? I’m not sure but for NICKEL, I read Lorrie Moore, Antonya Nelson, JD Salinger, Sarah Shun Lien-Bynum, Augusten Burroughs and others. Nothing with lyrics. Mostly jazz while I’m writing, but when I’m in the car or taking a break I listen to all different types of music. The characters of Coy and Monroe in NICKEL are obsessed with the 1980s, so I reacquainted myself (rather loudly) with Foreigner, Bad Company, AC/DC, The Smiths. I just finished Nicholson Baker’s Substitute and Anne Valente’s Our Hearts Will Burn Us Down; I’m in the middle of Elizabeth Strout’s My Name is Lucy Barton; and The Odd Woman and The City by Vivian Gornick is up next. 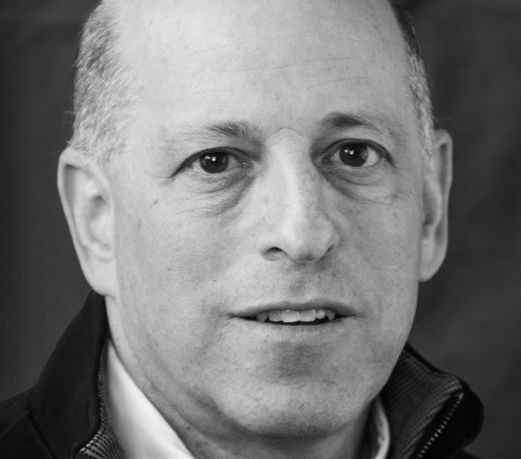 Robert Wilder is the author of a novel, NICKEL (Leaf Storm Press), and two critically acclaimed essay collections, Tales From The Teachers’ Lounge and Daddy Needs A Drink, both published by Delacorte Press. 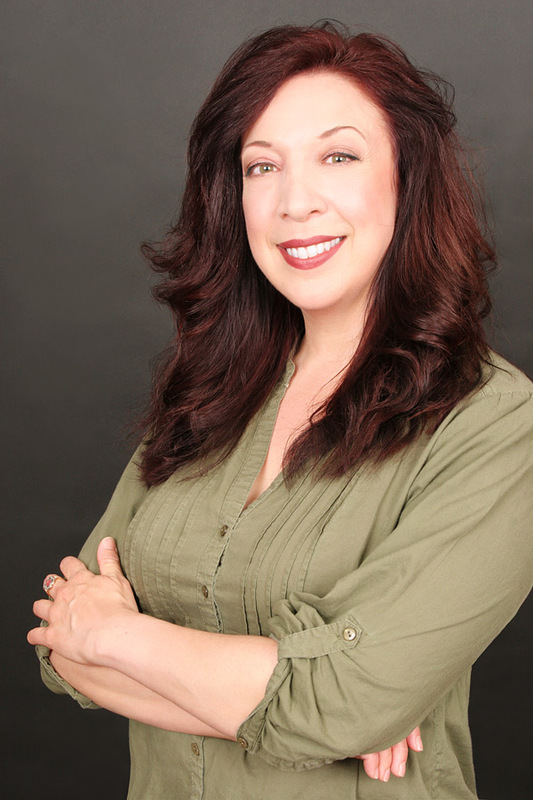 A teacher for twenty-five years, Wilder has earned numerous awards and fellowships, including the inaugural Innovations in Reading Prize by the National Book Foundation. 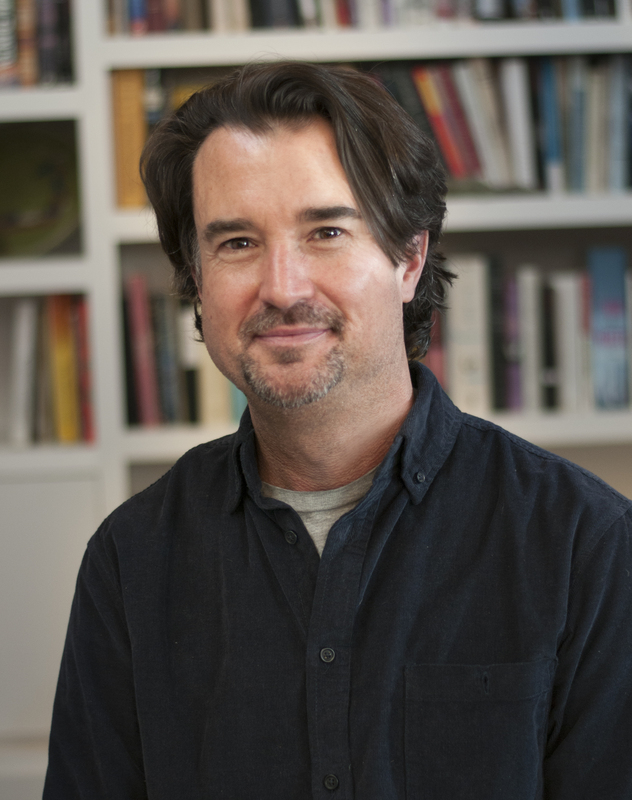 He has published essays in Newsweek, Details, Salon, Parenting, Creative Nonfiction, plus numerous anthologies and has been a commentator for NPR’s Morning Edition. Thanks for playing along Rob! 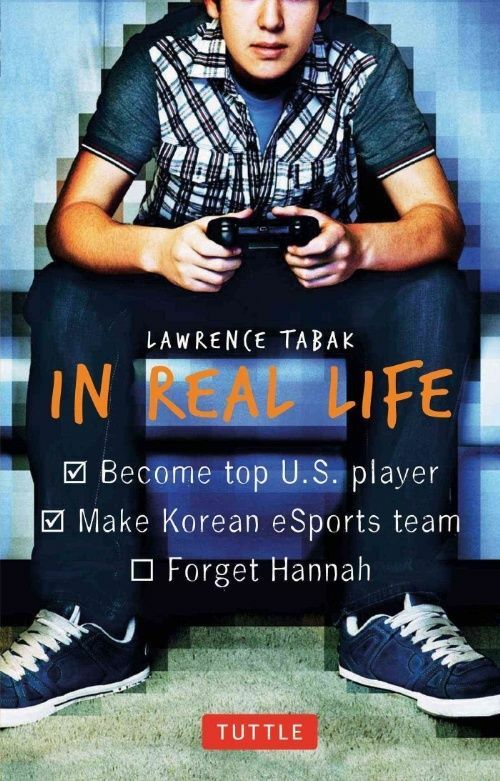 Go get this book, you’re going to love it.